Well the season of parties and family gatherings is upon us and if you are anything like we are your schedule is filling up fast. Holidays with the family, parties with friends, the list goes on and on and you don’t want to show up at the doorstep empty handed. You also don’t want to go broke with all the hostess gifts you now need to get. This is why we have rounded up some of our favorite ideas that won’t break the bank. Baked Goods – If you really want to save some cash then make a batch of quick breads and put them together in super cute packaging. If is a thoughtful homemade gift that is sure to impress and you can probably make enough in one batch to take care of all of the hostesses on your list. 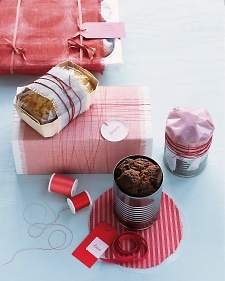 If you are looking for some packaging inspiration and recipes check out Martha Stewart. 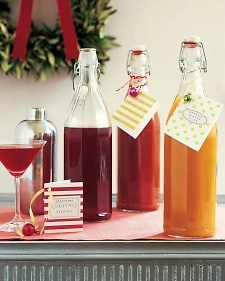 Cocktail Mixers – Another DIY option would be to make your own cocktail mixers and dress up the bottles in a unique way. This is another time saver with making one batch and dividing it up between all your hostess gifts. For inspiration and recipes visit Martha Stewart. Pumpkin Butter (or other homemade butter) – I did this for Thanksgiving last year and it was a huge hit, I have already been asked if I would be making it this year. 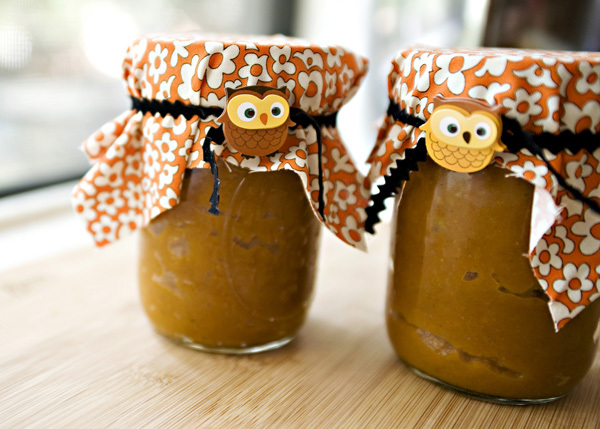 I made a batch of delicious pumpkin butter, divided it among mason jars, topped with a square of fall fabric and tied it with some twine. It was a huge hit and made a perfect hostess gift. Use the idea all season by making different kinds of butters and jams. 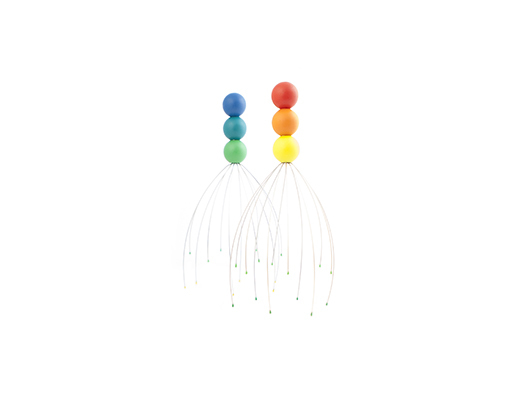 Head Massager – Your first thought may be that this is weird and that just means you have never used one of these. They provide the most amazing, relaxing head massage you will ever get and they are wonderful when you have a headache. This makes this the perfect gift for the hostess that might end up with a hangover headache the next morning. Fruit Infusing Ice Balls – With craft cocktails and artisan ice being all the rage at the moment give the hostess the ability to impress guests with their own infused ice. Heirloom Tomato Sea Salt – For the foodie on your list why not pick up a delicious and unique salt blend. 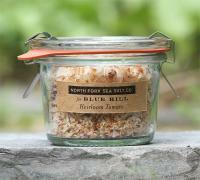 This one is made of briny sea salt harvested from Long Island and flavored with organic heirloom tomatoes. It sounds delicious to us! 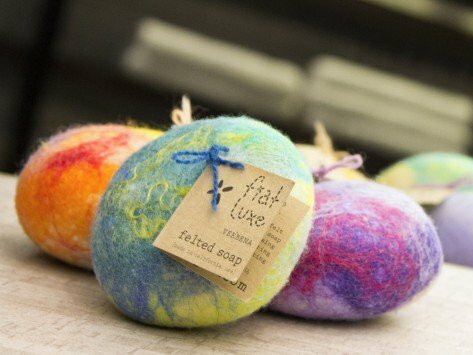 Fiat Luxe Felted Soaps – Not only are these gorgeous to look at, but they are useful too. These soaps are made with natural wool and create an exfoliating and fragrant lather when used. This is the perfect unique gift to bring to the party. 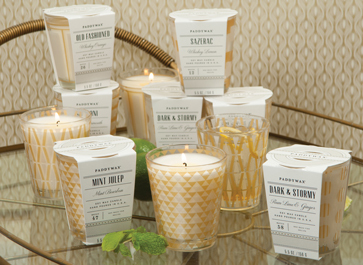 Paddywax Mixology Collection Candles – Each of these candles honors a different craft cocktail and the best part is the candle is in a collectible cocktail glass. 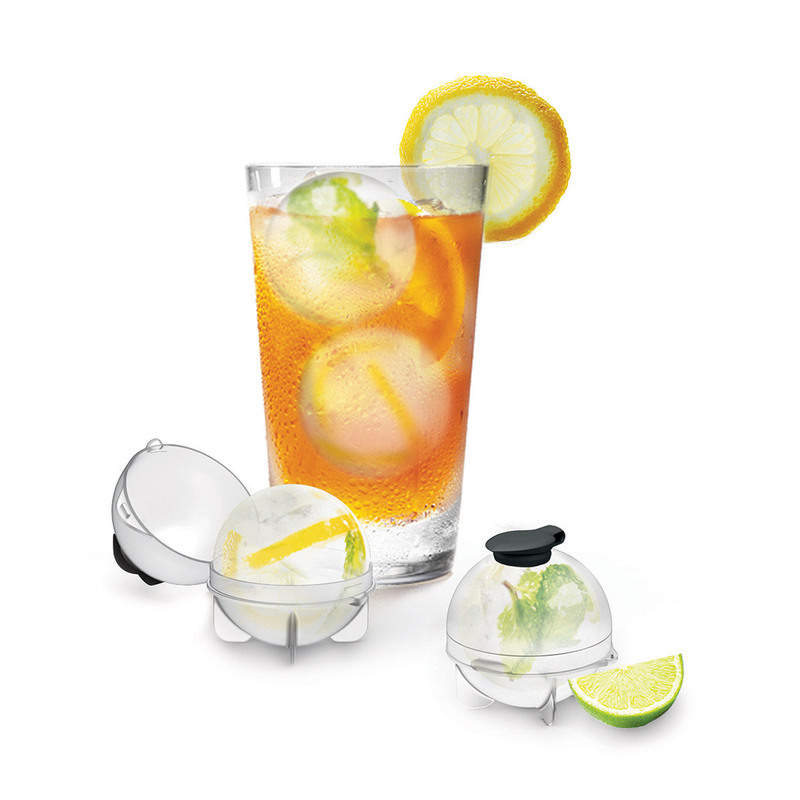 Each features a different retro design and the recipe for your cocktail. 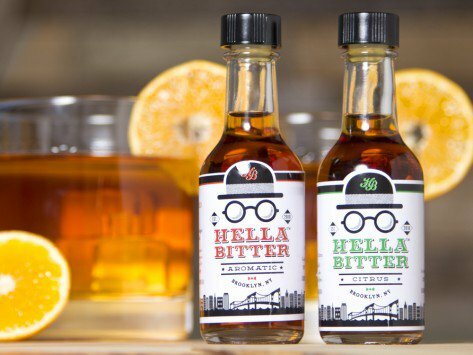 Hella Bitter Salt and Pepper Bundle Pack – Continuing with the craft cocktail theme why not get a pack of small batch bitters for your favorite home bartender or chef. These are handcrafted in Brooklyn, New York and are the perfect addition to cocktails and can be used on meats and in glazes and sauces. 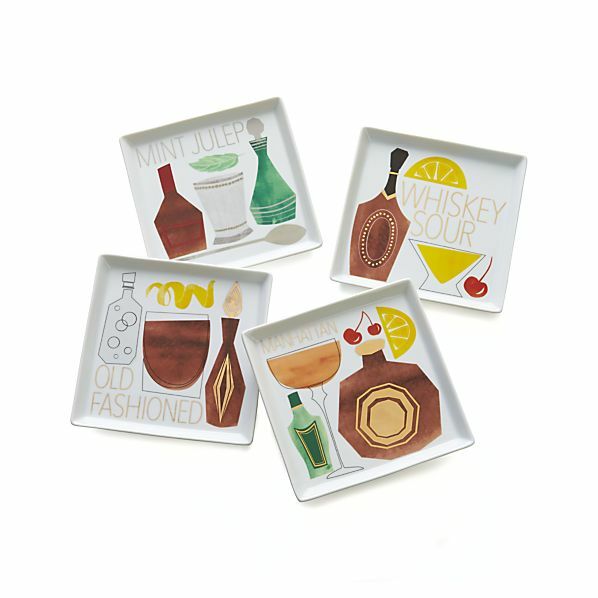 Cocktail Recipe Plates – Add a graphic element to cocktail hour with these beautifully illustrated cocktail plates. Each plate features a different cocktail and if you flip the plate over you will find its recipe on the bottom. Rackpack Wine Bottle Carrier and Rack – If you plan to bring a bottle of the hostess’s favorite wine to the party why not bring it in style and in something they can actually use once the party is over. Who knows, they may even use it to display the wine selection at the next party. 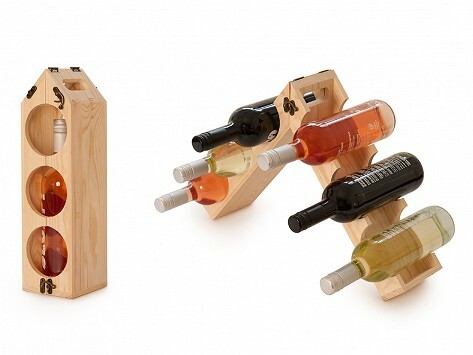 This wooden gift box unfolds to turn into a wine rack that holds up to 12 bottles of wine. 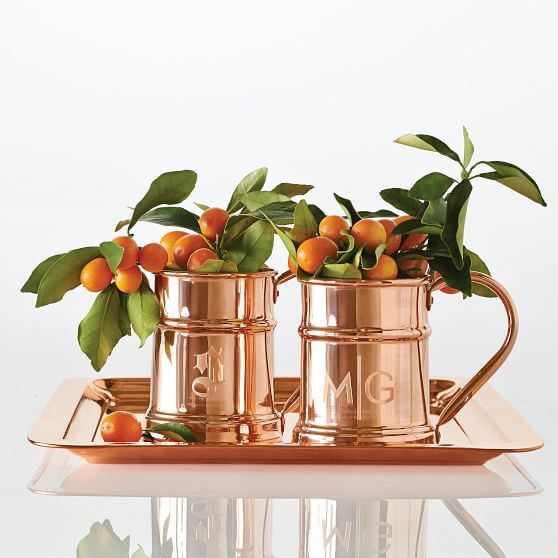 Copper Mugs – Who doesn’t love a great copper mug? Go simple and just give the mug or add to it and bring some ingredients for a classic Moscow Mule. Santorini Coasters – You can never have too many coasters around at a party. 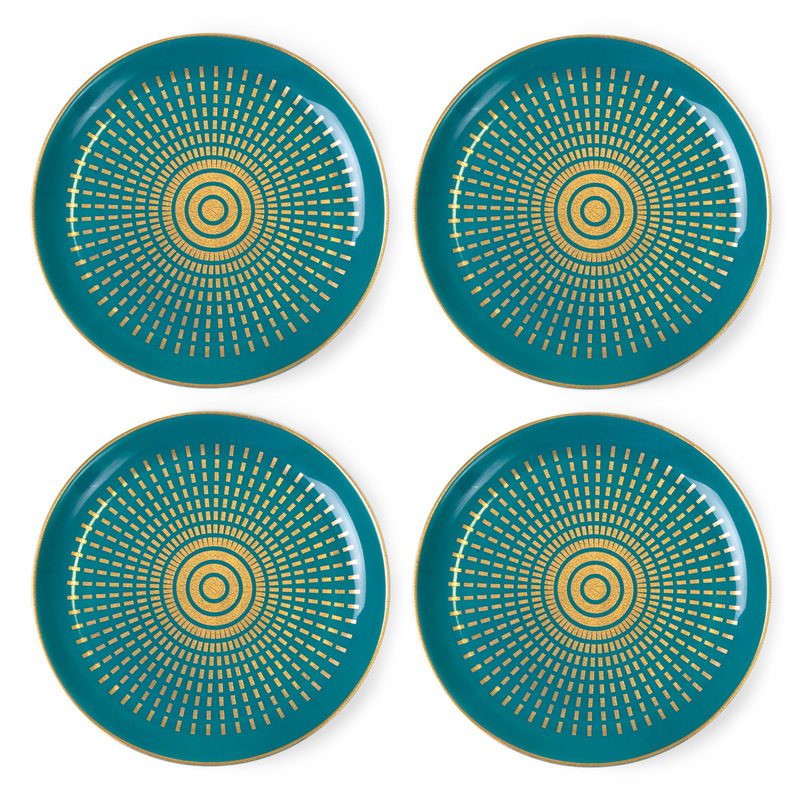 So for your design savvy friends why not add some more with these graphic and well design coasters from Jonathan Adler. 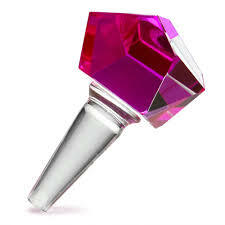 Jules Point Bottle Stopper – Add some glam to the wine bottles with this crystal bottle stopper from Kate Spade. We know we all have at least one friend who is obsessed with Kate Spade (and yes, we might be that friend). 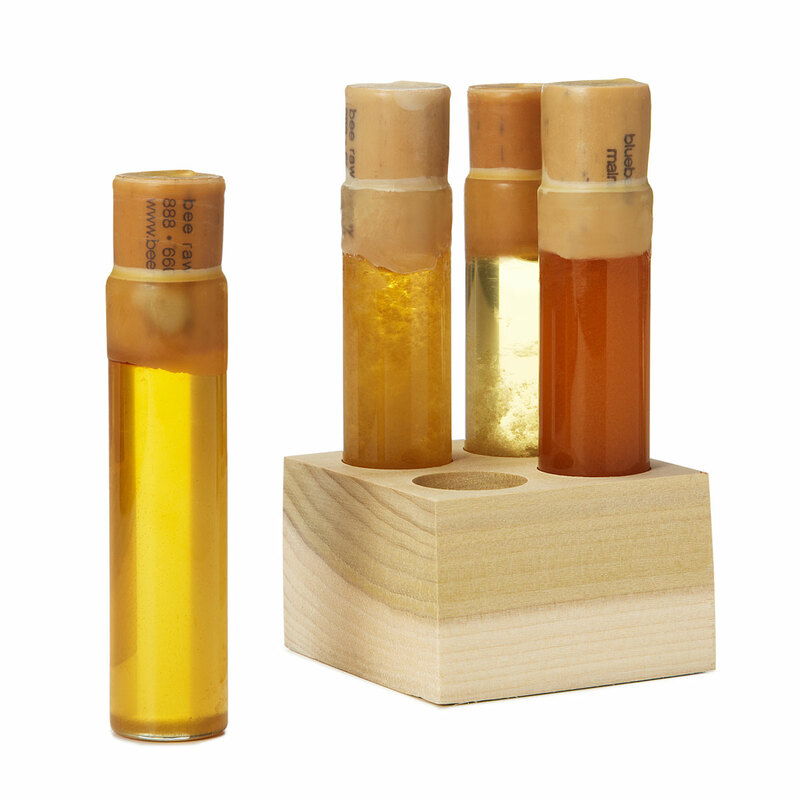 Manhattan Rooftop Honey Flight – This is for the person looking for a really unique gift to give. Each of the honey samplers was procured from rooftop hives that are scattered around Manhattan. This is perfect for tea lovers or the honey lover you know.